THE WORKPLACE IS FULL OF A MIX OF PEOPLE – DIFFERENT BACKGROUNDS, INTERESTS, SKILLS, ETHNICITIES, GENDERS, EXPERIENCE, LEVELS OF ABILITY, ATTITUDES AND OUTLOOKS, THE LIST IS ENDLESS. But, as the modern workplace changes, as well as the nature of today’s work, we also understand more and more about psychology – how people’s minds work, how this changes the way we do work, how they react to their workplace culture and environment, clarifying the differences between a disengaged or unengaged employee and what they need to be happy and achieve great results. Everyone is different, we all have unique personalities, but many schools of thought suggest that every person can be broadly described as one of a certain number of types. 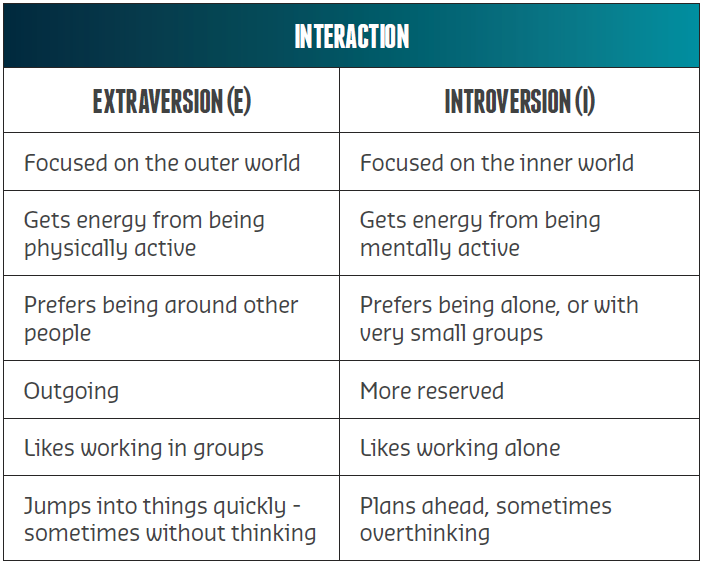 Of course, there are infinite variations within each personality type, but on the whole people with similar personalities work in a similar way, and require similar things to feel happy and valued. Understanding your employee’s personality types is important. It helps you develop a culture that suits your staff - one they can be happy and proud of belonging to – and one that ensures employee engagement remains high across your business. When we say “employee engagement”, we mean the ways in which an organisation aligns both its people and business goals, ambition and ethos. How you show your people, that they as an individual, play an important part in your organisation. Together, we are going to explore the various aspects involved with creating an organisational culture that not only suits your employees, but goes one step further, and attracts the most talented people out there. By using an evaluation of the most common type of personality test – the Myers-Briggs Type Indicator – we will discover just how important it is to appreciate personalities when creating a culture that truly engages and understands employees, and never tries to force a square peg into a round hole. IT MAY FEEL A BIT HEARTLESS TO ADMIT, BUT ULTIMATELY IN BUSINESS, PEOPLE ARE A RESOURCE, BUT A VERY IMPORTANT AND VALUABLE ONE. Human capitalisation has become a key business priority over the past few years, and is set to become even more important in future. As the UK has moved well beyond being a primarily manufacturing based economy, in which low skilled and largely replaceable labour came in second place to raw materials and machinery; talented, imaginative and creative people are now a business’s chief asset. And their importance is set to grow even more as we move towards increasingly automated workplaces, with the quality of people doing the jobs that workplaces can’t automate being what really sets apart one organisation from the next. With this in mind, attracting and retaining top talent – this extremely valuable asset - needs to be a major, board-level conversation, especially if you want your organisation to become an employer of choice for top talent. TALENTED, IMAGINATIVE AND CREATIVE PEOPLE ARE NOW A BUSINESS’S BEST FRIEND. BENEFITS, INCENTIVES AND REWARDS THAT GIVE EMPLOYEES SOMETHING EXTRA ARE VALUED NOT PURELY FOR THE NUMBERS THEY ADD TO THE PAYSLIP, BUT FOR SHOWING THAT EMPLOYERS CARE ABOUT THEIR EMPLOYEES. WHAT CONTRIBUTES TO YOUR COMPANY CULTURE? What makes a company the “best” option for someone seeking employment? Traditionally it may have been the one closest to home, or the one that pays the most – but as ever, as the world changes, so do the factors that people value in an employer. Physical location, for example, doesn’t appear as important as many would think, the increasingly high number of people prepared to commute for more than two hours a day is proof of this. My company - How people feel about the company as a whole. Meanwhile, Deloitte’s 2018 Millennial Survey found that, as well as pay, financial benefits were the most important factor for young people choosing an employer. Are valued not just because of the numbers they add to the payslip, but for showing that employers care about their employees. So, as you can see, a whole range of factors are taken into account when we consider what makes a company a good place to work, and Best Companies, the organisation behind The Times’ surveys, place even more emphasis on engagement in a broad sense – it’s not just about paying your employees the most or even giving the best opportunities to earn more. These things, as well as a few other factors, create your company culture and, ultimately whether it’s an appealing place to work – and stay. IT’S NOT JUST ABOUT PAYING YOUR EMPLOYEES THE MOST OR EVEN GIVING THE BEST OPPORTUNITIES TO EARN MORE. Company culture isn’t just an internal thing – it’s become an important part of how you market your organisation and can be key in helping to attract top talent. A story of how well you treat your staff makes for excellent PR, whereas treating staff badly does the exact opposite and can even lead to fines if it is found you are exploiting staff. Lesson here is having a positive employee culture and shouting about it can get you some great coverage, with the exact opposite being true of a negative company culture. Glassdoor go the extra mile, actively promoting companies that offer certain benefits and have positive workplace environments. Employees more than ever are in control of where they want to work, and they will research a company’s culture before applying for or accepting a role. Thanks to websites such as Glassdoor – a jobs listing website that also allows users to give feedback on companies they work for, prospective employees have all the information they could want at their finger-tips. With staff talking, tweeting and Instagramming about your company and what it does, your positive culture can’t just be something you claim to have if you want it to attract and retain staff – it has to be something real. Something that aligns with your core values as a business, and impacts and improves your employees’ lives every day. This is what retains staff, and attracts new talent. WITH STAFF TALKING, TWEETING AND INSTAGRAMMING ABOUT YOUR COMPANY AND WHAT IT DOES, YOUR POSITIVE CULTURE CAN’T JUST BE SOMETHING YOU SIMPLY CLAIM TO HAVE - IT HAS TO BE SOMETHING REAL. WORKPLACE CULTURE IS A COMBINATION OF A WHOLE HOST OF THINGS. The behaviour and performance that is expected of employees, the tone and methods in which managers communicate with their staff, the social aspects of an organisation, and the values (including CSR) that define what a company stands for, and how it works are key. Core values can be expressed in a lot of ways. They can be single words, or they can be longer statements. There can be one, or fifty. They can be broad and open to interpretation, or they can be more specific- there’s no right or wrong way. But core values are, most commonly, fairly broad and open to interpretation, guiding the way a business operates rather than restricting it. Yes, these are arguably a little bit generic – but they direct the culture of the business and keep employees and senior management committed to a certain mindset. While there is a lot of room for interpretation, decisions made at Spotify won’t go against these values. But what do some of these actually mean? Viewed on their own, without any context, they’re almost nonsense and require a bit of explanation. Red hot! for example, is about providing value and quality – but having Value and Quality on the list is a bit boring. Red hot! sticks in your mind, and fits better with Virgins personality. THERE CAN BE ONE, OR FIFTY. THEY CAN BE BROAD AND OPEN TO INTERPRETATION, OR THEY CAN BE MORE SPECIFIC- THERE’S NO RIGHT OR WRONG WAY. Your values shouldn’t be plucked out of thin air – they need to be carefully considered to ensure they’re robust, useful, and appealing to potential employees. Core company values also shouldn’t be dictated from the top down. Your organisation should shape your values as much as your values shape your organisation – it’s a careful balancing act. Don’t, for example, make collaboration a core value of your business because you think it sounds good if the majority of your employees work alone rather than in teams – your values have to reflect you, and you have to reflect your values. YOUR VALUES HAVE TO REFLECT YOU, AND YOU HAVE TO REFLECT YOUR VALUES. What does your organisation do that you’re proud of? What do you wish you did better? Are upholding these values more important to you than maximising profits and revenues? Can you see these values still being valid in ten years? How about in fifty? Can your employees’ performance be measured/rewarded against these values? Are you willing to hire staff based on how well they fit these values? Your values need to be able to stand up and remain relevant, even as your business strategy develops. ARE YOUR EMPLOYEES ALIGNED WITH YOUR VALUES? Potential employees looking at your organisation will see your core values, and will make judgements based on what they see. These values provide a quick snapshot of the kind of organisation you are, and whether it feels like the right fit for them. Similarly, when potential employees come in for interviews, you will be able to get an impression of whether they are a good fit for your culture and how closely they match your core values. Potential employees may have the relevant qualifications and experience, but will they fit in with that values and culture important to your company? A key way of aligning employee behaviour with your values is through incentives and rewards, and this is why they really matter. As we’ve mentioned, being able to measure your employees’ performances and behaviours against your core values is essential, and allows for more meaningful rewards that go beyond something as simple as just hitting a sales target. A good incentive and rewards program is one that complements your core values. If for example, innovation is a core value, then innovative ideas, creative thinking and imaginative solutions to problems should be rewarded. Encouraging peer-to-peer recognition, where co-workers nominate each other for recognition and rewards, ensure everyone is actively promoting these values. Alternatively, if “superior customer service” is a core value, then taking steps to build a successful incentive scheme could see employees rewarded for receiving a certain amount of positive feedback from customers. WHILE YOUR CULTURE AND CORE VALUES SHOULD ENCOURAGE AND REWARD CERTAIN BEHAVIOUR, IT SHOULD NOT DICTATE IT – PERSONALITY IS AN ESSENTIAL PART OF THE MIX IN ANY ORGANISATION. As we mentioned earlier, the workplace has traditionally been a place where individuality and expression haven’t been encouraged – from assembly lines to call centre scripts, dress codes, and standardised methods of approaching tasks. In many areas, these tools are essential to ensure a consistent quality of output – but allowing people to express their personalities at work is an essential part of creating a positive workplace culture. Similarly, understanding the personalities of your employees is vital for ensuring people are able to work in their own way, as well as ensuring they are engaged with your company culture. Feeling as though your individual personality is stifled can be incredibly frustrating. Having to behave in a way that is out of character can be incredibly stressful. For example, forcing yourself to work in a team when you prefer to work alone, or being discouraged from talking to fellow employees when social contact helps keep you motivated and inspired, is incredibly restrictive. It is quite obvious how big of an impact this can have on staff retention. If people are coming to work, churning through tasks, and constantly feeling as though their behaviour is being restricted, they are far less likely to stick around – pay can only compensate so much, if people really don’t like their job. ... AND THERE ARE PSYCHOLOGICAL THEORIES TO BACK OUR LAST POINT UP. Frederick Herzberg’s motivation-hygiene theory suggests that there are two sets of factors affecting a person’s attitude towards work: motivators, which cause satisfaction when present, and “hygiene” factors, which cause dissatisfaction when absent. Salary is classed as a hygiene factor – so if employees aren’t earning enough money at work, they will be dissatisfied. However, salary alone is not enough to cause satisfaction – once someone is paid enough, they will be at a neutral point of no dissatisfaction, but no particular satisfaction either. Employees will need additional motivators, such as achievement or recognition, in order to feel truly satisfied at work – without these things, more money isn’t the answer will do very little towards satisfying employees and keeping them happy. This is why a more holistic approach to company culture, one which considers personality, and recognises and rewards people for their individual efforts, is important. However, it’s essential to ensure that your culture is engaging for people of all different personality types. It’s also important to recognise that different people will embrace a company culture differently, and not everyone will shout about certain aspects. Some will love social events; others will do all they can to avoid them. Some will find a collaborative environment encouraging, while others will find having to work on others’ timetables limiting. Your culture will need to be able to engage and nurture your employees regardless of their personality – but without squashing it. SALARY ALONE IS NOT ENOUGH TO CAUSE SATISFACTION – ONCE SOMEONE IS PAID ENOUGH, THEY WILL BE AT A NEUTRAL POINT OF NO DISSATISFACTION, BUT NO PARTICULAR SATISFACTION EITHER. A MORE HOLISTIC APPROACH TO COMPANY CULTURE - ONE WHICH CONSIDERS PERSONALITY, AND RECOGNISES AND REWARDS PEOPLE FOR THEIR INDIVIDUAL EFFORTS, IS IMPORTANT. HOW DO YOU GET TO KNOW THE PERSONALITIES OF EVERYONE IN AN ORGANISATION WHEN THERE ARE HUNDREDS, EVEN THOUSANDS, OF EMPLOYEES WORKING THERE? Even in teams of a dozen or more, it can be difficult for managers to really get to know everyone’s needs and preferences in any meaningful way. 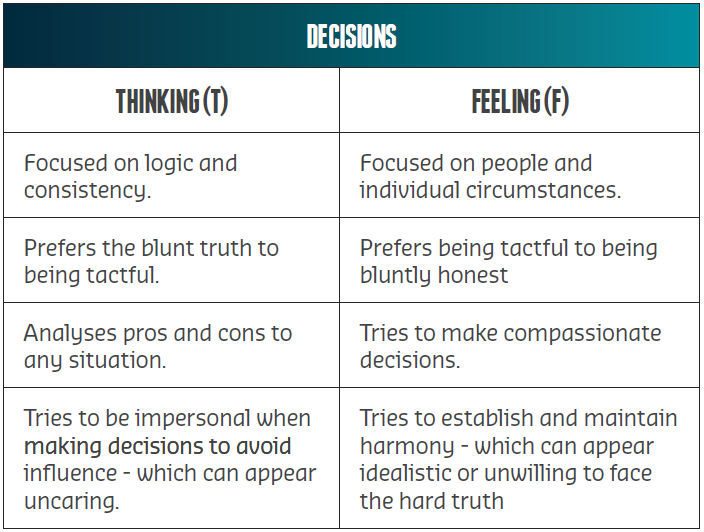 Personality tests are very popular in the workplace – employees answer questions, and their answers indicate what kind of person they are, how they react to situations, how they work with others, and so on. Provided they are used as a starting point for understanding the personality of employees, rather than a shortcut to categorising people, they can be very effective tools in building a positive company culture. 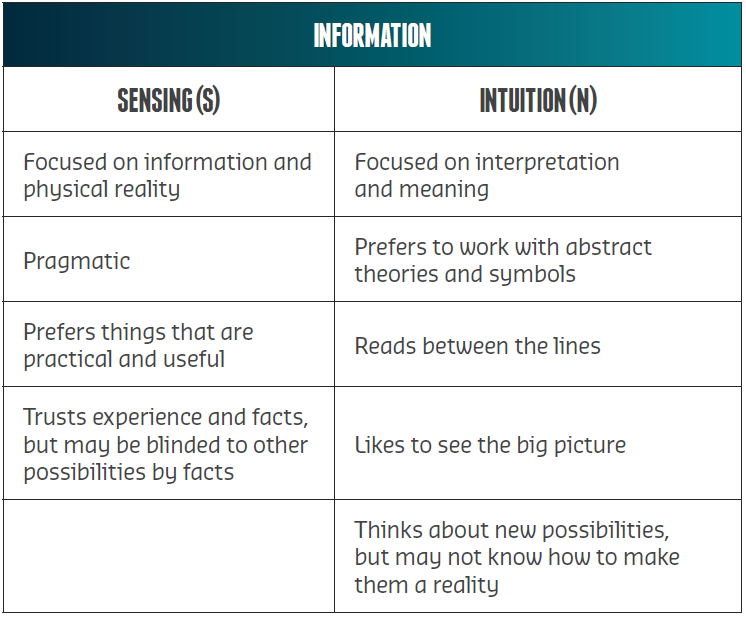 There’s a very good chance you’ve taken a Myers-Briggs Type Indicator (MBTI) test before, particularly if you’ve either done any management training in the last 50 years, or spent much time on social media over the past decade! It’s a simple personality test, usually made up of 93 questions, which asks you to rate how you feel about certain statements, from strongly agree, through neutral, to strongly disagree. The responses will split you into one of 16 personality types designated by the test’s famous abbreviations – INFJ, ESTP, ENTJ, and so on – which supposedly reveal a great deal about your personality, how you deal with people, and how you respond to situations. 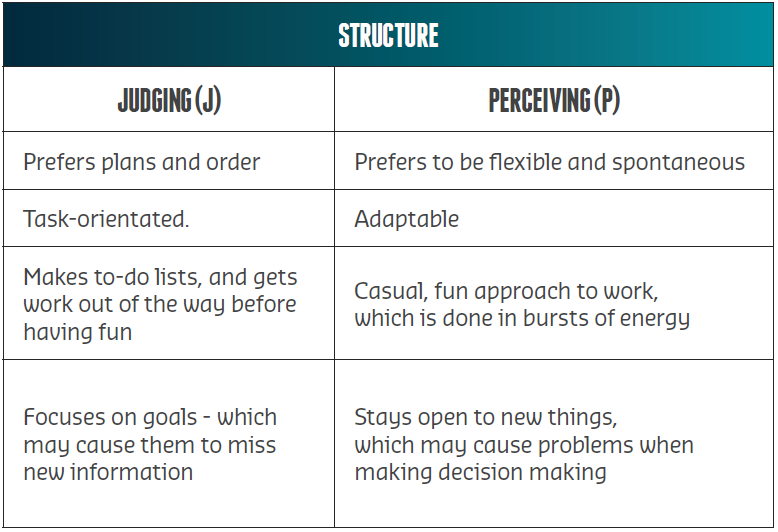 The types revealed by an MBTI test focus quite heavily on how you approach problems and work with others – typical workplace demands – and as such it has been used quite extensively by employers to categorise their employees. Companies of all sizes find them useful, including many that make up Fortune and FTSE lists. Each personality type combines four of eight possible traits, one from each of four categories. The main point of these tests and their types is to demonstrate that certain personality traits may often be seen as negative - such as preferring to work alone, sticking rigidly to a to-do list, being a bit tactless, or working in energy bursts with procrastinating downtime in-between - aren’t necessarily a bad thing when viewed in the context of person’s entire personality. People have these traits for a reason, and they lend themselves to different tasks or working styles - they’re not to be discouraged or stamped out. In fact, helping people to work in ways that suit their personalities can be of great benefit to an organisation. WE FIRMLY BELIEVE THAT REWARDS SHOULD BE AS PERSONALISED AS IT’S POSSIBLE AND PRACTICAL FOR YOU TO MAKE THEM – IT SHOULD BE OBVIOUS THAT YOU CAN’T MOTIVATE OR REWARD ALL OF YOUR EMPLOYEES IN EXACTLY THE SAME WAY. Knowing more about an employee’s personality can provide useful guidance on how best to motivate and reward. It’s very difficult to motivate someone without knowing what actually motivates them! 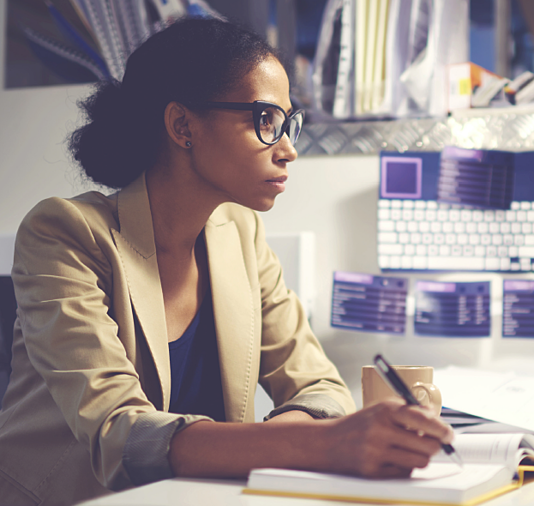 While motivational theories like Maslow’s Hierarchy of Needs offer broad theories that apply to all – people are motivated by needs for food, shelter, friendship, achievement and realising their personal potential – these things generally explain why people are motivated to find jobs, not what actually motivates them to get their day-to-day work done. A better understanding of a person’s personality type can be key in understanding what motivates them. For example, employees with more practical personality types – typically incorporating a T or a J – will be better motivated when they understand the practical reasons and outcomes behind what they’re doing. These people may prefer to have targets to hit, and will want to understand where their personal targets fit in in the context of the wider organisation. Others, meanwhile, are more concerned with the impacts of their actions on others – typically those with personality types that include an F. These people may be less interested in sales figures and targets – which they may see as arbitrary – and will be better motivated by the ways in which their work will enrich the customer’s experience. This leads into the reasons behind rewarding people – for some, receiving incentives for hitting their targets will be incredibly motivating. For others, an instant reward like an e-code or voucher can be an instant boost to improve workplace performance, and rewards for good customer service will be valued far higher – and the impact of receiving one for wellbeing and alignment with company values will be far greater. Giving rewards for the right reasons is one thing – ensuring rewards take the right form is another. Obviously, it would be impossible to determine someone’s personal preferences, just from their personality type, but as a guiding principle, personality types can be very handy. For example, if you have a great deal of employees who identify with more introverted personality types, rewards that are overtly social in nature may not go down quite so well. When it comes to giving a personal reward for these types of personality, reward vouchers or reloadable gift cards not only make a versatile gift, but they also give the recipient the gift of choice to use them wherever they like. Of course, no organisation will ever be entirely made up of people with identical personality types – which highlights the need to provide choice when it comes to rewards. Allowing staff to choose between options that are personal or social; spontaneous or something planned far in advance, means you can be sure that your employees are receiving rewards that suit their personality. Also, it’s important to remember that sometimes, even small acts of recognition can really go a long way. After all, it doesn’t cost a thing to just say ‘thank you’, does it? 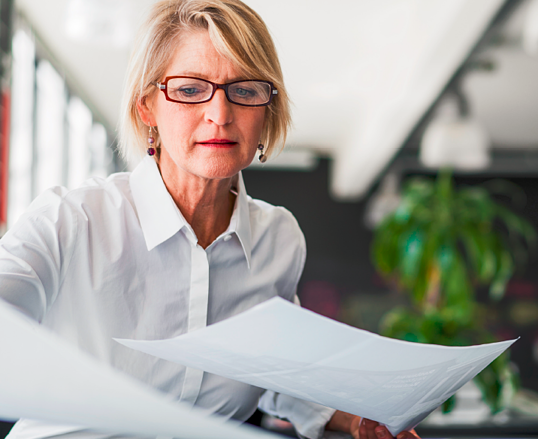 Providing feedback is a key part of both motivating and rewarding employees. Publicly acknowledging an employees’ efforts, and saying “thank you” for a job well done are fantastic motivators and are great for business, too. People really do value approval, and validation that they are doing well can give them that extra boost. Plus, it costs absolutely nothing! A PERSONALITY TYPE SHOULDN’T BE STUCK WITH AN EMPLOYEE FOR LIFE, STORED ON THEIR PERSONNEL FILE OR POSTED ON THEIR OFFICE DOOR. Understanding personality types means it is easier to see how different people will require different things from those they work with – including feedback. People with more extroverted personalities, or who approach tasks by making to-do lists – usually those with a type including E and J – may prefer to talk through their work with others, or have a catch-up at every stage, as things get crossed off their lists. On the other hand, employees with more introverted personality types will prefer to be left alone to work on a project – and may find constant catch-ups overbearing. This may also feel restrictive to those with perceiving (P-type) personalities, who work in more spontaneous bursts of energy – having every step of a project mapped out, with formalised feedback at every stage, may cause anxiety if they have nothing to show at an organised checkpoint, and would prefer to be judged solely on the end results. Allowing for procedural, organisational or cultural changes that help people work to their full potential. 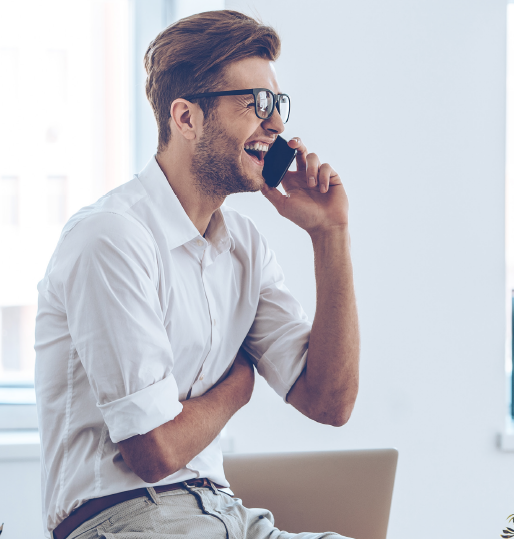 Communication and flexibility like this is essential to creating a positive workplace culture that is attractive to new talent while also retaining top employees – it builds an environment where people’s individual needs are considered, and roles can be adjusted accordingly. Not everyone needs to do things the same way – doing it the right way is what’s important. ANNA, AN INTP, WORKS IN ACCOUNTS SHE’S WELL SUITED TO THIS ROLE BECAUSE SHE LIKES WORKING ON HER OWN AND IS GOOD WITH DATA – SO HER NUMBERS ALWAYS ADD UP. However, she feels like the creative side of her personality is not being used enough and this can cause her to get distracted easily, working in bursts of energy, which is reflected in her performance. Once her manager understood Anna’s personality type better, she gave her the opportunity to undertake more varied work, including volunteering her for a focus group on the company’s new marketing campaign. Just giving Anna the opportunity to focus her creative energy has led to her being far more engaged and motivated. GREG IS AN ENFP PERSONALITY TYPE, WORKING ON A SALES TEAM. HE IS VERY SOCIAL, AND GENERALLY WANTS PEOPLE TO GET ALONG. He is highly creative, and full of good ideas for ways to improve pitches and sales processes but struggles to get his voice heard in meetings. When Greg learned more about different personality types, he realised he didn’t always talk about his ideas in a pragmatic way and had a tendency to give up on them if he sensed anyone wasn’t interested. This has led Greg to be more assertive about the positive points of his ideas and encouraged him to focus on one thing at a time, developing a proper business case. But, she often rubs many members of her team the wrong way by being inflexible, and sometimes fails to understand the ways in which someone else’s personal circumstances can affect their work. This means that, despite being very good at her job, some of Julia’s projects are really not running to plan. By learning more about personality types, Julia came to understand that the different members of her team would have very different needs. Some people preferred to set their own schedules, for example, to account for their own working patterns. Instead of insisting people undertook certain tasks at certain times, Julia democratised the team’s approach to their own workloads, and helped everyone to hit their targets by allowing them to be flexible. then download it for free! Yup, we've created a free PDF which you can download via the link below. It's totally free, so you can download and refer back to it whenever you like. Part of Sodexo Employee and Consumer Engagement, our Shine solutions inspire a successful workplace culture by incentivising performance and recognising success. We change behaviours and drive outstanding engagement - all focused around your specific business objectives. Never out of a box, we’re all about the experience, always purposeful and always powerful. At Sodexo, we have over 50 years’ heritage in creating award-winning experiences that make people’s lives better. From growing employee culture and inspiring success in your workplace, to driving consumer engagement with your brand, we transform the way in which employees and consumers behave or perform, meaning they’ll engage more deeply with you. GET THE LATEST EMPLOYEE ENGAGEMENT TRENDS, INSIGHTS AND NEWS STRAIGHT TO YOUR INBOX! Each week we share blogs, news and all sorts of helpful content all about the world of employee and consumer engagement - all direct to your inbox! Don't miss out; sign up via the form below!